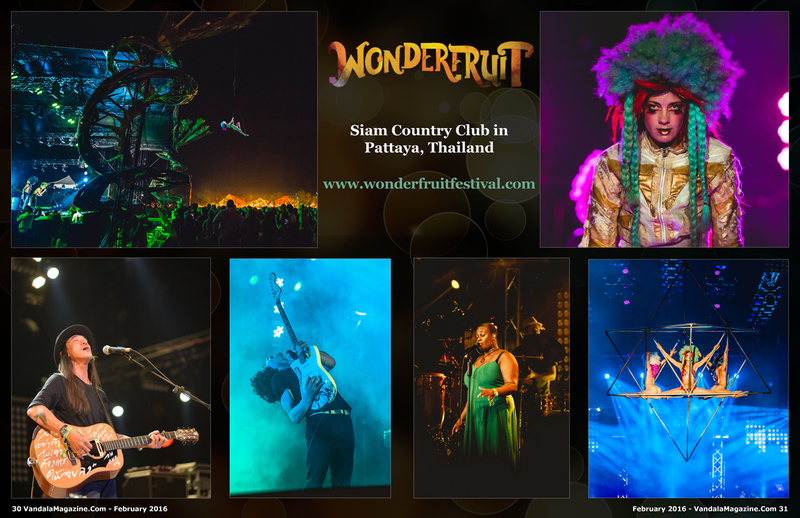 After a hugely successful inaugural year, Wonderfruit made a triumphant return to the Fields at Siam Country Club in Pattaya, Thailand, transforming the fields into an oasis and delivering a feast for the senses. From December 17 to 20, 2015, Asia’s cross-cultural, sustainability-driven festival destination combined an international cadre of world-class musical acts alongside cutting-edge interactive installations, visionary art and stage productions, health and wellness offerings, inspiring talks and workshops, and natural adventures in the picturesque landscape of Pattaya, just 150km southeast of Bangkok. A rare offering in the region, the premiere festival showcased the musical stylings of international superstars and local legends alike. The world premiere of Jon Hopkins x Chris Levine’s spellbinding audiovisual collaboration, the iy_project, enthralled audiences with layers of endless laser beams interweaved with hazy modulating clouds of light. Acts like Submotion Orchestra and Rhye hit an emotional chord with piercing soul, while LA-based electro-cirque troupe Lucent Dossier Experience stunned the crowd with soaring aerials and high-intensity dance moves. Thai favorites like Greasy Cafe and “Pu” Pongsit Kampee garnered huge cheers from the hometown crowd and party animals delighted in hard-driving techno and house at the Quarry with live sets from Dapayk Solo and HVOB, alongside uplifting sunrise sets at the Solar Stage from acts like Goldroom and Viceroy. Throw in spontaneous drum circles and traditional Isaan music at the Molam Bus by the Jim Thompson Art Center, and Wonderfruit’s grounds were made a perfect haven for music lovers. 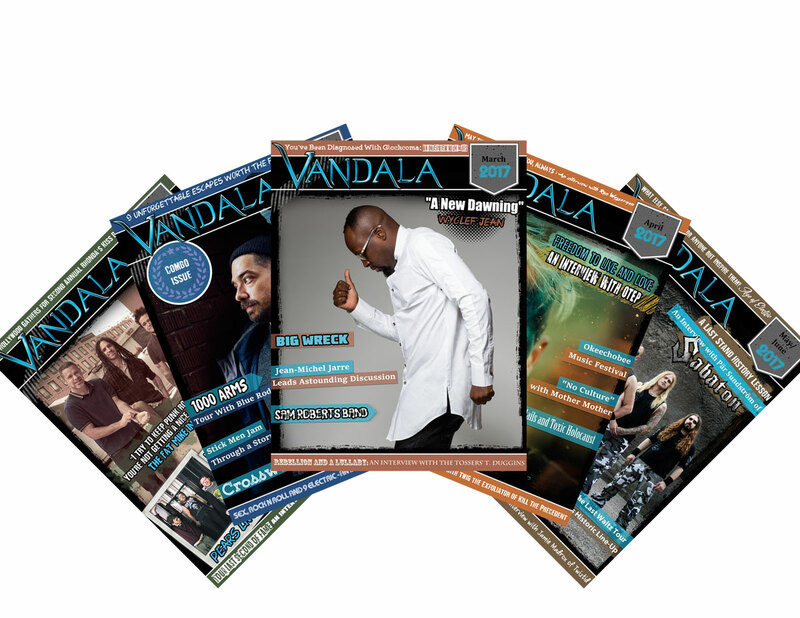 Alongside impressive music, the festival’s expansive fields were filled with mesmerizing art and stages to marvel at. The festival featured elaborately designed creations that complemented their equally awe-inspiring performers with magnificent designs and colorful materials. From perception-altering interactive art installations to stumbled-upon surprises like a shack housing mixologist Shingo Gokan’s hidden bar — every aspect of the festival’s visual landscape was designed to inspire creativity and curiosity, while using locally-sourced, sustainable materials where possible, such as bamboo, and recycled trash. Those wanting to mirror the vivid beauty of the environment could visit the Wonder Salon and A Taste of Wonder style zone to get outfitted with glamorous hair and makeup styling or choose from vintage and futuristic threads and accessories from top fashion-houses. Crafty hands also learned to make their own wares at The Sharing Neighbourhood, where participants could try their hand at traditional skills and techniques. For epicureans, Wonderfruit offered a closer look at creative agriculture with a fully-functioning farm, teaming up with Thailand Young Farmers to offer organic produce that was sourced by many of the vendors on site. 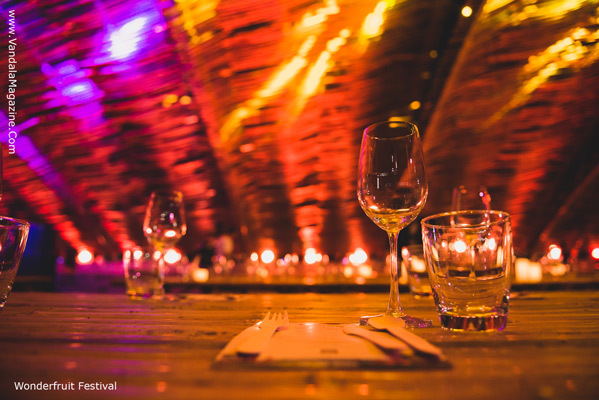 Mouthwatering dishes were served up by Bangkok hotspots, street vendors, and a line-up of rock-star chefs such as Gaggan, who served their Wonder Feasts in the grandiose bamboo Theatre of Feasts, using fresh and organic ingredients cultivated from the Wonderfruit Farm. Festival-goers nourished their minds and spirits with a multitude of inspiring talks and workshops, including “Creativity at the Source” by famed Thai architect, Duangrit Bunnag, and “Unleash your Legend” by Dream Rockwell. A contingent from Green School in Bali also joined the roster and Wonderfruit was treated to talks by John Hardy – founder of the pioneering school, and Isabel and Melati Wijsen of Bye Bye Plastic Bags, all of whom inspired audiences with their stories of eco-change. Attendees also found rejuvenation and soothing experiences within the Healing Village, where massages, reiki, readings, or self-love activating facepainting, and much more were on offer. Wonderfruit was an adventure for adults and youngsters alike, with Camp Wonder offering activities and workshops for tots such as kids yoga, circus skills, and free-running with Team Farang. 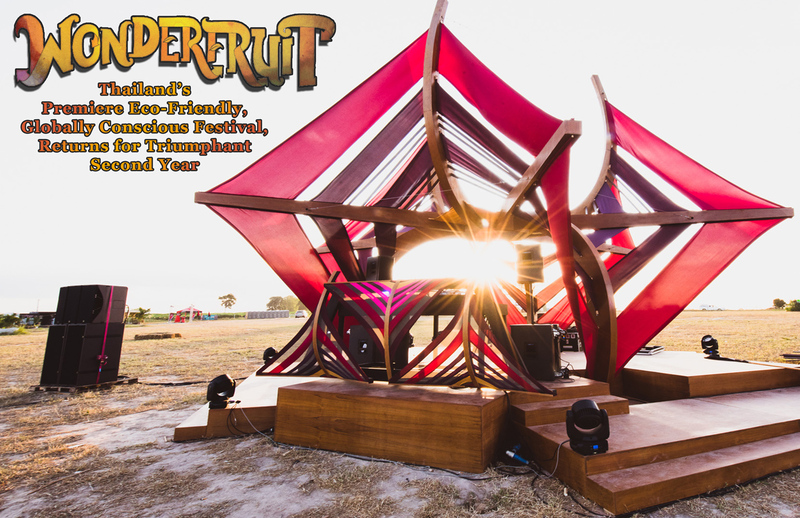 A rare convergence of inspired offerings, Wonderfruit’s second year was a bold statement of an intention to spark creativity, curiosity, personal responsibility, and a newfound appreciation of the environment. With an audacious second year now behind them, Wonderfruit looks to grow even further in 2016.